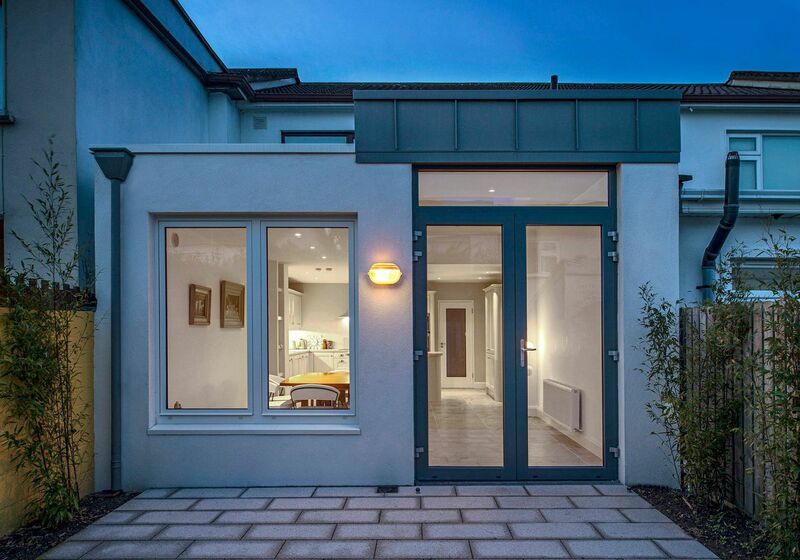 Extension and internal alterations to an existing terraced house, Raheny, Dublin 5. 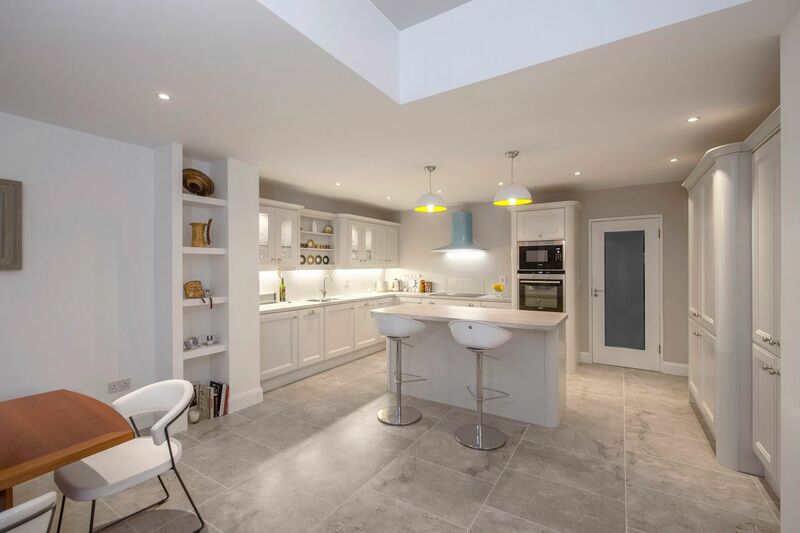 The new extension includes kitchen, dining and tv area. 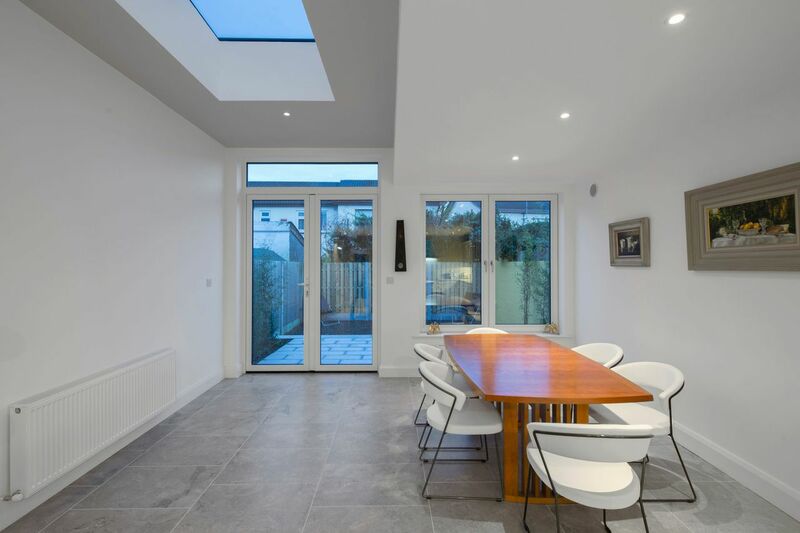 Natural light was very important and half of the ceiling is raised to allow for a high level roof light and a fanlight above the new external doors. The materials chosen were very simple consisting of zinc and smooth white render. The patio is grey granite with two planters each side to create privacy between neighbours.